When the rain comes down in Seattle, I daydream of heading back to the warm sun, white sandy beaches, and tropical feel of Aruba. Located in the Netherlands Antilles, this is one of my favorite beach spots. Yes, this is actually Aruba. Thought there would be more people? ME TOO! The adorable little shops mingle with the expensive shopping hot spots. Aruba has something for everyone, if you can afford it. Aruba is can be a bit pricey. The hotels and food don't come cheap, but you can beat that by staying out of the premium tourist traps and living like the locals in guesthouses and local restaurants. But what I loved most was the beaches! The soft sand and gentle waves were amazing. The crystal clear waters made spotting a colorful tropical fish easy even without snorkels and masks. The beaches and hiking are free and you can enjoy them relatively people free if you are willing to spread out and walk a bit. We found a great beach to relax in the sun for the day. We used a hotel beach pass for use of their beach access with the cost of a few drinks and a meal. Since we were only on Aruba for a few hours while on our cruise, we didn't get to see as much as I would have liked. But it was pretty peaceful and not very crowded. 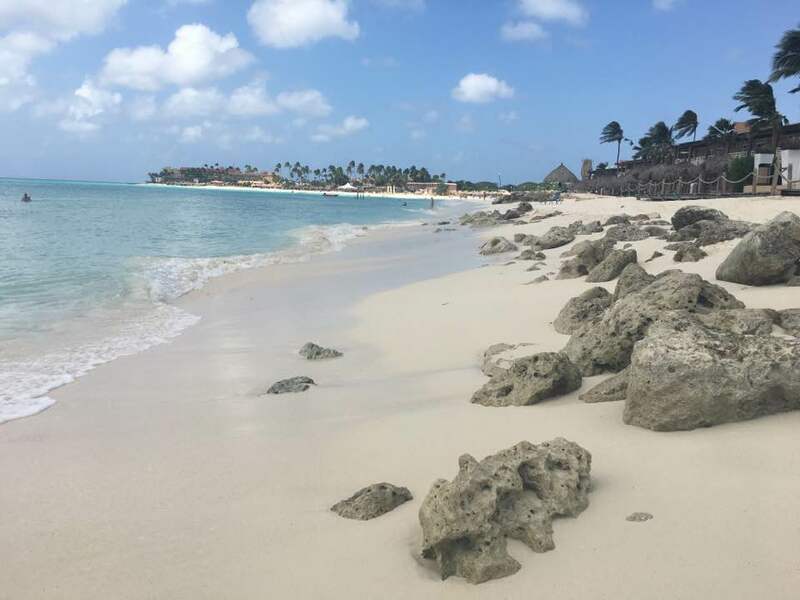 Have you been to Aruba? What tips would you share?